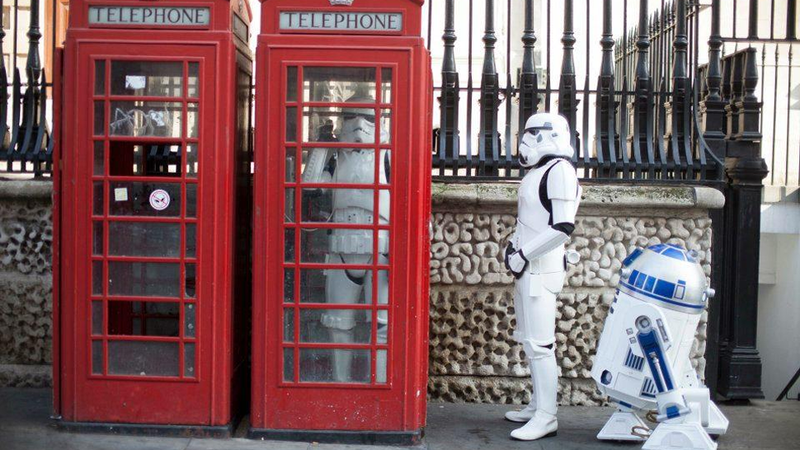 I say, old chap: Episode VII will be filmed in the UK! A tax break scheme from the sinister Chancellor Palpatine George Osborne allows Lucasfilm to shoot and produce the new Star Wars movie primarily in England's green and pleasant land. Filming for previous Star Wars movies has taken place in England before - at well known studios such as Elstree and Shepperton - but this will be the first time Star Wars production has returned to the UK's shores in a major way since The Empire Strikes Back took over Elstree Studios in the late 70's (although pickup shots for both Attack of the Clones and Revenge of the Sith were filmed in the UK). Mr Osborne said: "Today's announcement that the next Star Wars film will be shot and produced in the UK is great news for fans and our creative industries, and it is clear evidence that our incentives are attracting the largest studios back to the UK. "I am personally committed to seeing more great films and television made in Britain." Episode VII is due to go into production next year.